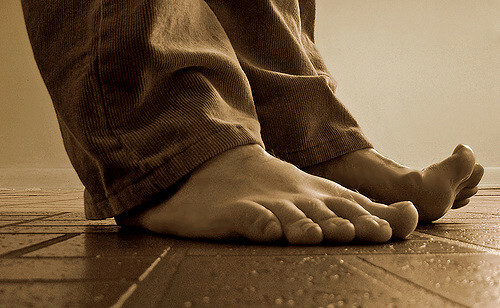 These arches were thought to be supported by plantar intrinsic muscles (PIMs) – but a study by the University of Queensland and the University of Exeter shows PIMs have a “minimal impact” on this. “Recent research suggests that muscles in our feet are key to how the foot functions during walking and running,” said lead author Dr Dominic Farris, of the University of Exeter. “Our study provides direct evidence showing the significance of these foot muscles in supporting the performance of the human foot. “Contrary to expectations, PIMs contribute minimally to supporting the arch of the foot during walking and running. During ground contact in walking and running, the stiffness of the foot arch was not altered by the block, showing that the PIMs’ contribution to arch support is minimal, probably due to their small size. “This could have implications for understanding conditions such as flat feet, the value of training foot muscles and ideas around potential benefits of running barefoot,” said Dr Farris. The University of Exeter and The University of Queensland have partnered to establish the QUEX Institute, a new multi-million pound partnership designed to bolster their joint global research impact.